New year, new updates from Le Club Voyage. 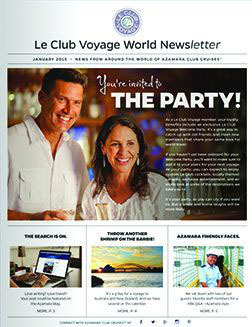 Our first World Newsletter of 2015 is packed with information on all things Azamara Club Cruises, including info about the Le Club Voyage Welcome Party, exclusive offers, and a chance for you to be featured on the Azamara blog. Plus, we introduce our first ever TV campaign. Tune in and take a voyage around the world in 30 seconds. 2015 is off to a great start. What’s new for Le Club Voyage? Quite a lot, in fact. 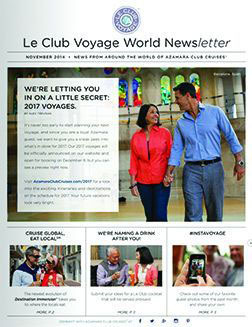 Take a look inside our November Newsletter to get a first look at our 2017 voyages, submit your ideas for a custom Le Club Voyage cocktail, and learn about our new culinary-inspired program, Cruise Global, Taste Local. Flip through to meet Azamara’s new VP of Sales and Marketing for the Americas, and find out why she’s the perfect woman for the job. Stay loyal and stay up to date on all things Azamara. 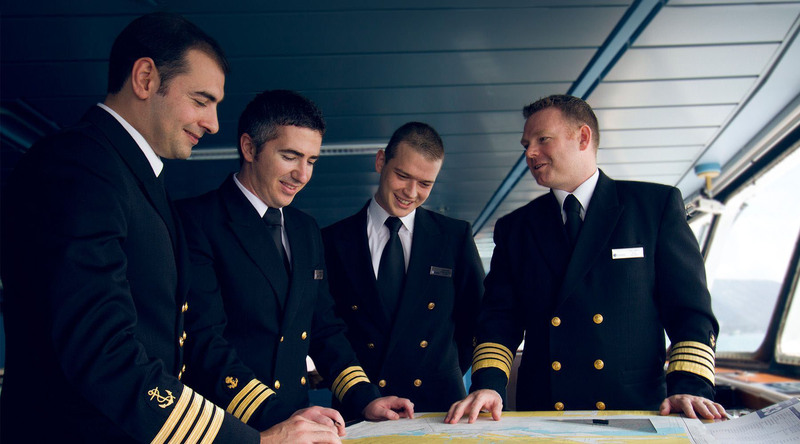 We would like to introduce you to new exclusive Le Club Voyage voyages. 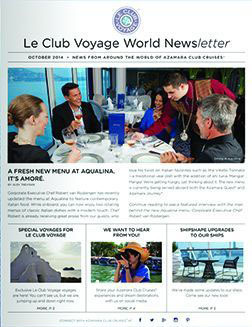 Our October Newsletter is filled with exciting new things for Le Club Voyage members. Read about the updated menu at the fabulous Aqualina restaurant. Check out the shipshape upgrades to our ships. A look inside and you’ll see why it’s more rewarding than ever to be a member.